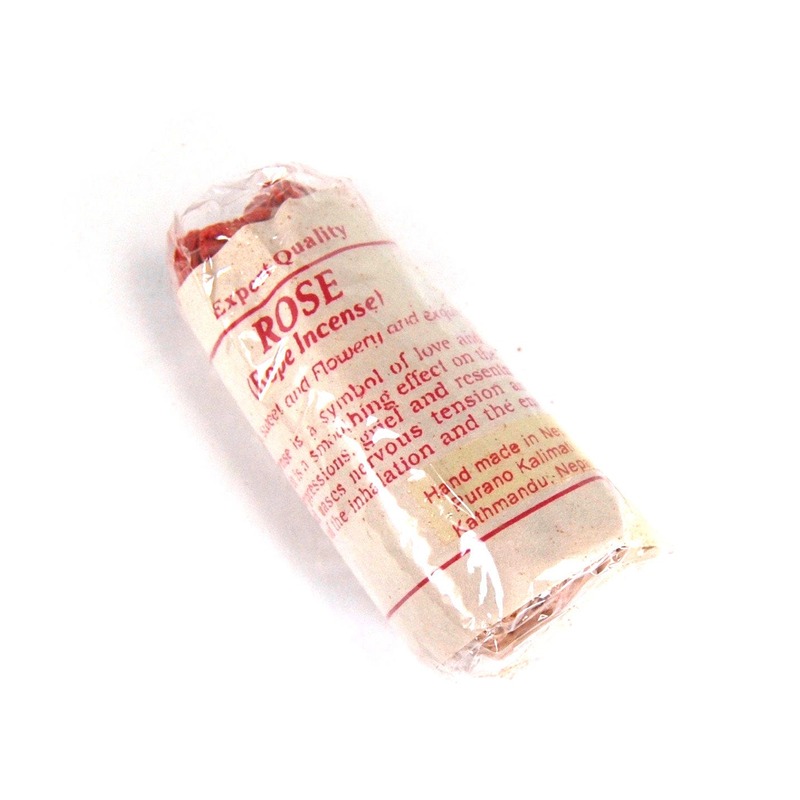 For your consideration is this bundle of Tibetan Rose rope incense. The rose is the symbol of love and purity. This incense is said to have a soothing effect on the emotions, particularly grief, depressions, and resentments. Lifts the heart and eases nervous tension and stress. Each 3 inch bundle contains 45 ropes. To use, you light the red end and place in a bowl with an inch or two of sand on the bottom.